Don Schaffer loves his 2009 Genuine Stella scooter! My Story: I got out of scootering in 1966 when I joined the Marines and went to Viet Nam. I returned in 2006 with a Honda Metro then on to my Stella in 2009. 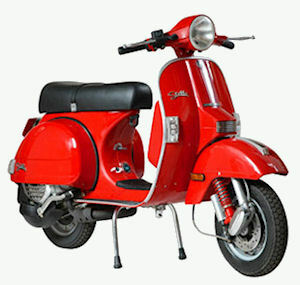 My Stella is like a really reliable version of the '58 Vespa I started with... I love it. You can learn more about Don at his personal website too.